Total Assets invested in ETFs and ETPs listed in Latin America increase 8.15% to $8.44 Bn in December. Year-to-date, assets have increased 24.21% from $6.80 Bn at the end of 2017. December 2018 marks 2nd highest net inflow on record, rivalled only by $688 Mn in March 2013. 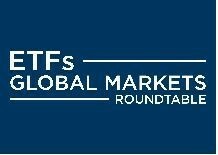 At the end of December 2018, the Latin American ETF/ETP industry had 48 ETFs/ETPs, with 1,196 listings, assets of $8.44 Bn, from 36 providers listed on 5 exchanges. Following net inflows of $635 Mn and market moves during the month, assets invested in ETFs/ETPs listed in Latin America increased by 8.15%, from $7.81 Bn at the end of November 2018, to $8.44 Bn. Equity ETFs/ETPs listed in Latin America attracted net inflows of $609 Mn in December, growing net inflows for 2018 to $2.78 Bn, more than the $1.09 Bn in net inflows at this point last year. Fixed Income ETFs and ETPs listed in Latin America saw net outflows of $4 Mn, bringing net inflows for 2018 to $60 Mn, a considerable change compared to the $36 Mn in net outflows at this point last year. Substantial inflows during December can be attributed to the top 10 ETFs by net new assets, which collectively gathered $674 Mn. The It Now Ibovespa Fundo de Indice ETF (BOVV11 BZ) gathered $267 Mn, the largest net inflow in December. Investors have tended to invest in core, market cap and lower cost ETFs in December.